The weather in Mauritius is influenced by a tropical climate and is characterized by oceanic influences.This is the resultant of our tiny island being located in the southwest Indian Ocean basin. We have only two seasons. Summer extends from November to April. During this period the climate is mostly warm and humid, with an average temperature range of 27-30 degrees Celsius. Winter is generally cool and dry; lasting from June to September. Overall average temperature revolves around 20 degrees Celsius. October and May are the seasons’ transition months. The hottest months of the year are January and February, and the temperature may very easily be above 30 degrees Celsius. Even the sea temperature rises at this time and undoubtedly the crystal clear turquoise waters of the island's lagoons are the biggest crowd pullers during summer. If you are in Port Louis, the capital, high humidity and dense traffic can make you feel really uncomfortable. It is advisable to drink plenty of water to avoid dehydration. Rainfall is mostly short-lived, but at times incredibly intense with thunderstorm during the summer period. After the rains the sky is usually bright clear. February and March are the wettest months whereby October is the driest one. The island is susceptible to be hit by tropical cyclones during summer with higher probabilities between mid-December through March. Don't feel alarmed that your holidays might get ruined during a cyclone. Many hotels organize indoor activities and entertainment for their guests during the passage of the storm. With an average night temperature nearing 16 degrees Celsius, July and August are the coolest months with drier air. 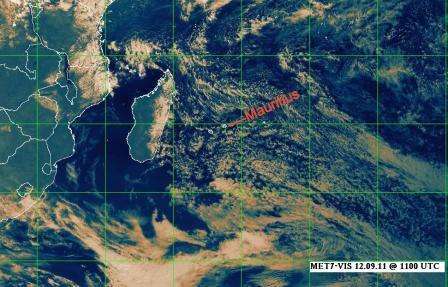 Occasionally, Mauritius’ weather in winter is very windy with a chilly drizzle, especially on the high grounds. Early morning dew and late evening patchy fog are frequent on the central plateau. The coastal regions are exposed to about 8 hours of bright tropical sunshine during summer and about half an hour less during the winter season. So you need not worry. Just relax and snooze on the gorgeous beaches of Mauritius, like Belle Mare, Grand Gaube or Bain Boeuf, for that perfect suntan. 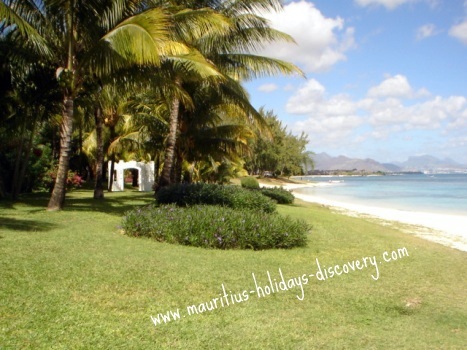 The climate of Mauritius makes the island a year-round destination. I'm tempted to say. . . Everyday is paradise in Mauritius! To conclude amiably, if you experience a slightly different weather here during your stay, please don’t blame me. We all know how unpredictable the weather is.